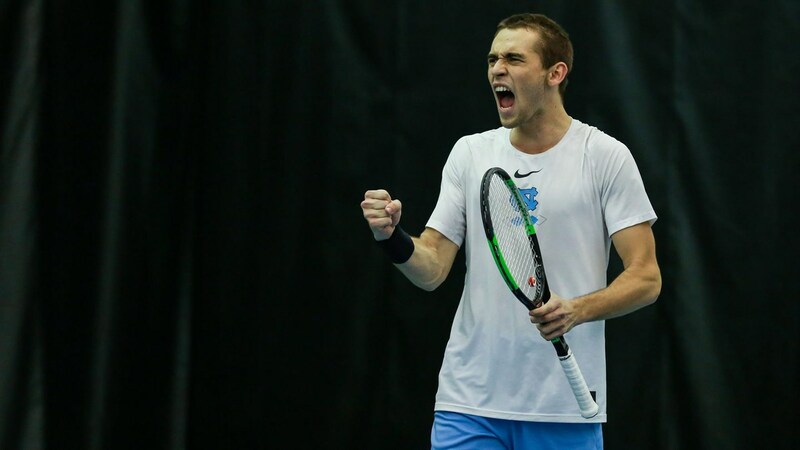 A close match Saturday night ended up going in favor of the eighth-ranked UNC men’s tennis team, as the Tar Heels went on the road and gutted out a 4-3 win over the Illinois Fighting Illini. Sophomore Benjamin Sigouin provided the game-clinching point when he outlasted the Fighting Illini’s Alex Brown in a three-set thriller (6-4, 6-7, 6-4). The Tar Heels (6-1) started off well by winning the doubles point, and ultimately took a 3-2 lead after singles victories by Josh Peck and Blaine Boyden. Illinois (3-1) tied things up shortly after, but UNC was able to clinch the win behind Sigouin’s clutch performance. Riding high on the momentum from this win, the Tar Heels will now get ready for the ITA National Indoor Tournament in Chicago next weekend.